Whether you are a man or a woman you have probably tried the dreaded D-word: diet. If you struggle with you weight, you should know how boring these diets are and that you are probably only able to eat fruits and vegetables for the remainder of your life. If you haven’t tried dieting, you might have tried diet pills. These are also not sustainable and will probably cause you more harm than good in the long run. 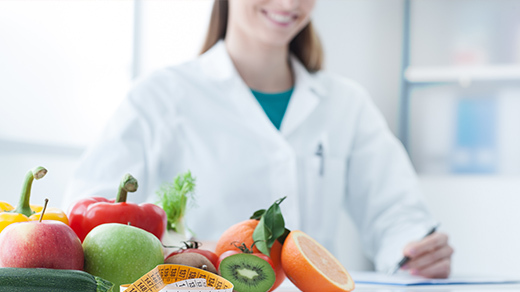 Medical weight loss is a treatment administered by trained doctors and expert dieticians to ensure that you never have to go back to alternative methods of weight loss again. Medical weight loss is a process implemented by doctors and trained professionals to treat the added weight that you want to lose. It does not involve any diet pills or diet plans, but rather a change in lifestyle. The doctors will try to figure out what the cause of your weight gain is and tackle the problem from the root by trying to destroy that factor completely. This way they guide you towards your goal weight and they help you maintain it for the rest of your life. Medical weight loss has no immediate effects. You will not wake up the next day and have a slim figure. You will have to go for a few appointments so that the doctors can be certain about how to treat you. They will deduce the main factor that is preventing you from losing weight and they will try to eliminate it from your daily routine. It might be something as simple as cutting out sugar, or it might require an intricate eating plan. Each person will have a different lifestyle plan that has been drawn up as per their individual backgrounds, needs, and goals. This is why it is more effective than a diet plan. This procedure and process does not include any type of surgery or cutting. It takes into account your medical history, your length, your weight, and your daily routine in order to work out a special program for you. You can expect many consultations with your healthcare expert and possible follow-up appointments to see if the program should be adjusted or not. Anyone who feels that they have a weight problem can benefit from medical weight loss and this can help them to achieve their goals. Whether you want to lose the last few pounds or whether you want to lose half of your body weight. People who have a BMI of greater than 30 will benefit from this even more than anyone else. You could be at risk of serious medical conditions if you are largely overweight or obese. What is Dr. Oz’s Weight Loss Plan?